The 2017-18 Budget sees a reiteration of old measures mentioned in the previous Budget and lacks new initiatives and concrete policies on fostering the innovation and technology development. Mr Mok expresses his disappointment in this year’s Budget. Despite the surplus has amounted to almost $100 billions, resources that are placed on innovation and technology are insufficient and largely disproportionate. The Innovation and Technology Bureau has received over $18 billion of funding last year and yet most new policies are yet to be implemented. For years, the ICT sector has called for the government to implement a list of policies that will help the sector grow, including more measures to boost the investment in technology, facilitate the exchange in technology skills and knowledge, nurture the technology talents, assist different sectors to transform and become more competitive. Unfortunately, these demands are not addressed the latest Budget. Among the few new initiatives, the Financial Secretary has announced “reserving $10 billion for supporting innovation and technology development in Hong Kong” but without the details, it is unclear how this will benefit the sector and the ICT professionals. Mr Mok urges the ITB to announce concrete measures on nurturing technology talents, supporting local start-ups and SMEs, and reviewing laws for innovations to foster. The Financial Secretary has also mentioned of a new committee on innovation and technology development and re-industrialisation but it is uncertain how this will help. The government has already established a number of committees and advisory bodies but the public is always kept in the dark of the work progress and results of these committees and bodies. Fintech is one area that concrete policies are issued and are seen to be helping. Proposals such as faster inter-bank payment system, new payment channels for settling government bills and fees, Fintech Supervisory Sandbox, Blockchain, and cyber security are welcoming. However, Mr Mok urges other regulators and authorities such as the Securities and Futures Commission to also adopt technology in other policy areas. Inadequate support in talent nurturing. There are no initiatives in solving the manpower shortage concerning the ICT sector nor are there any policies in assisting working people to take up training in technology and digital economy. Inadequate support to businesses. 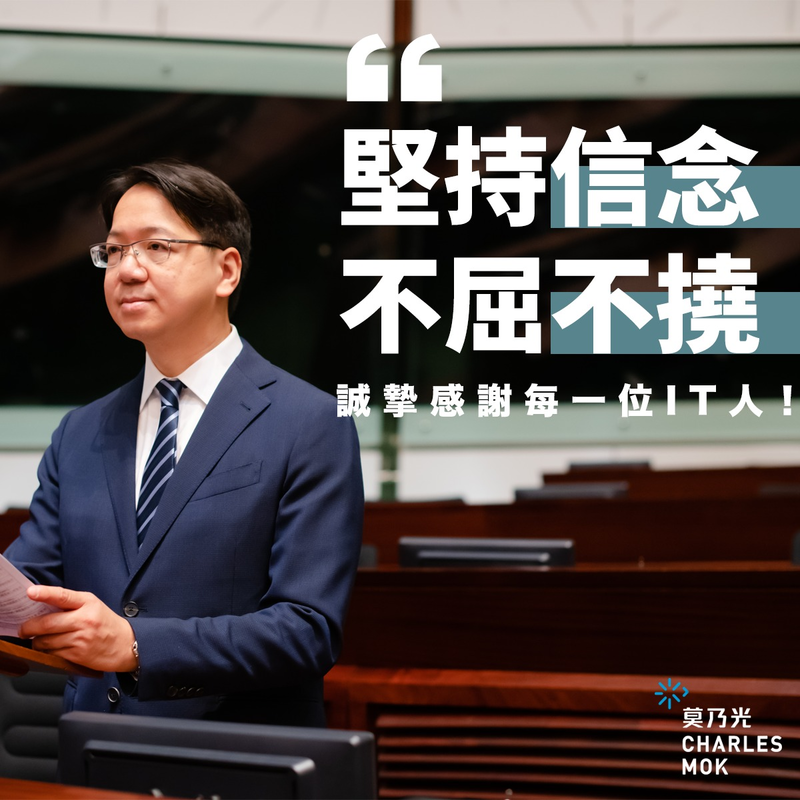 The Budget has not covered any support in assisting local companies to explore international market and attracting foreign companies to set up businesses in Hong Kong. No mention of reviewing existing laws. The government should immediately carry out review of existing regulations to deal with new issues arose from innovations and new technology, such as shared economy, FinTech, drones and driving assistance system. The Singapore government has also revealed their latest Budget this week. Unlike Hong Kong, the Singapore 2017 Budget has announced an array of measures to help the workforce to acquire new skills, nurture more technology talents, assist SMEs to go digital, issue more regulatory sandboxes, undergo law reviews and many more. These measures are not only more comprehensive but also far more practical and forward looking than what are proposed in our new Budget. Seeing how our competitors are actively investing in digital economy and innovation and technology, Hong Kong must quickly catch up and end the empty talks.